Through a Facebook Live video this morning, United Way California Capital Region announced that all of its work for the next 20 years will focus on ending poverty by increasing the number of local kids who graduate from high school prepared for success in college and beyond. United Way’s Square One Project will bring together the organization’s work over the last decade as the project focuses on educational milestones for children and the resources they need to succeed in school, including early literacy support, access to nutritious food, stable homes, support systems and more. Sacramento-area kids who graduate from college are 62 percent less likely to live in poverty than those who drop out of high school, according to United Way and the nonprofit Corporation for Enterprise Development. United Way’s Square One Project is bringing together community leaders, schools, government, nonprofits, volunteers and donors across five counties to make sure kids stay in school, stay on track, have high expectations for what they can achieve, and have strong support systems. 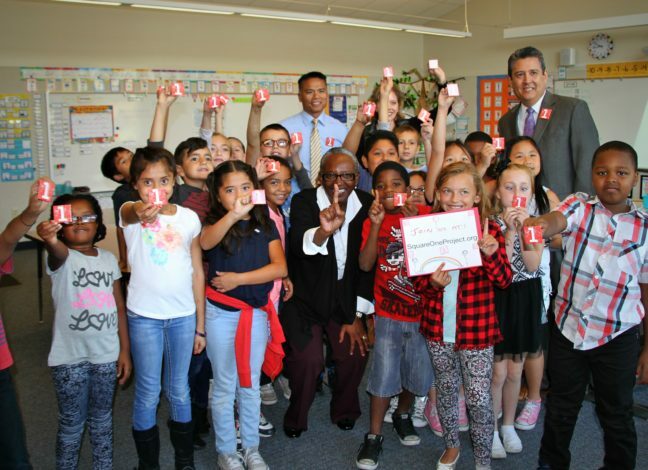 United Way is launching the Square One Project through a partnership with Robla School District in Sacramento. To make sure kids can come to school every day, United Way and Robla School District are providing case managers at schools through a grant to help the 500 homeless families in the district secure stable housing and other support. United Way’s Healthy Meals ensures kids have enough to eat in their after-school programs so they have fuel for their brains. United Way also is providing tutors to help kids meet reading and math milestones so they stay on track. United Way’s Young Leaders Society is helping families start saving for higher education by raising matching funds for college savings accounts so that kids have high expectations of continuing school. Through the Square One Project, United Way also will work with school districts throughout Amador, El Dorado, Placer, Sacramento and Yolo counties to fill gaps in resources so kids have the best chance at success. To donate or volunteer for United Way’s Square One Project, visit www.squareoneproject.org.